We are First Choice Janitorial Services located in Vancouver, Washington. 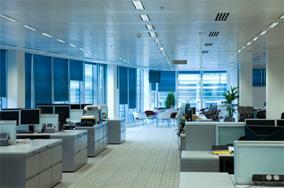 We also provide our excellent green cleaning to Vancouver, WA and surrounding areas as well. What separates us from our competitors? We try our best to be as environmentally-friendly and safe as possible when it comes to green cleaning Vancouver, WA homes and offices. We believe that there are much better options than using harsh chemicals to get the job done. Cleaning products are everywhere in our homes and offices: on dishes, countertops, furniture, clothes, floors, windows, and floating through the air. In our war on dirt and germs we may often actually be making things worse with the corrosive and toxic chemicals we use. This is why we believe that it is important to steer away from this outdated method, and use our safer green cleaning products instead. Many of the conventional cleaning products are petroleum based and may have adverse health and environmental impacts. Instead of opting for cleaning products that annihilate everything in their path, there are plenty of natural, green cleaning products and methods that keep a house clean and fresh smelling without the toxic side effects. Here at First Choice, we use a variety of green cleaning products and green cleaning methods that we trust and love. If we wouldn’t use it in our own homes, we won’t use it in yours! Please note: Some green cleaning products may not be effective on certain stubborn stains. In that case we will offer an alternative method. In addition to our green cleaning methods, we also provide our Vancouver, WA customers with outstanding customer service. We’re friendly, efficient, and committed to giving you the peace of mind that a safer, cleaner space offers. We have over fifteen years of experience, so you can trust us to get the job done right! Whether you’re a homeowner or commercial property owner, if you’re in the Vancouver, WA, Portland, OR, or Seattle, WA area, give us a call and we’ll show why our green cleaning services are your best option for keeping your environment clean with non-toxic cleaning products.